British adventurer Felicity Aston skis across Iceland during a pre-expedition training trip on Sept. 24, 2010 . 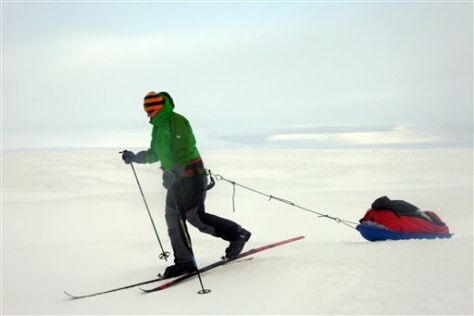 Aston plans to ski by herself across the Antarctica, all the way to the other side of the frozen continent. If she manages to complete this journey of more than 1,000 miles (1,700 kilometers) in late January, she'll become the first human person to cross Antarctica alone under her own power. She would also set a record for the longest solo polar expedition by a woman, at about 70 days.